Text wall sticker. 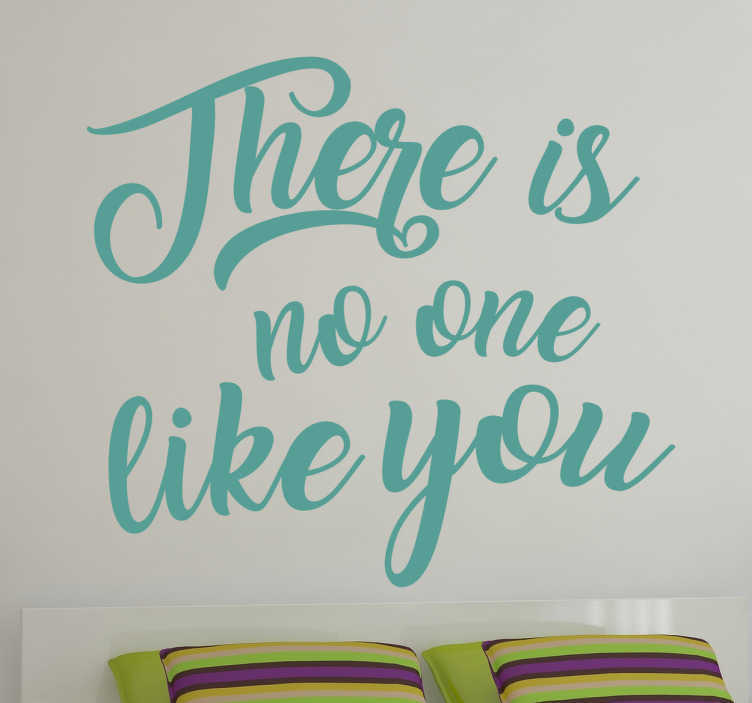 This wall sticker consists of the message "There is no one like you" written in an elegant font. Surprise your partner and let them know there is no other person on Earth like them. Or decorate your home, office or business and keep yourself motivated with this wall sticker. Remind yourself everyday you are unique and have the ability to do anything you want. We use an adhesive film that is easy to apply to any flat surface.